Premium brand eyewear for mountain or road biking. POC Do Blade Raceday glasses- go out and win! The Cornea goggle offers a huge field of view. POC’s super-sized Retina Big has a huge field of view to increase reaction speeds. POC Was eyewear- Swedish style! POC Want eyewear- stylish and effective. POC Want eyewear- safe and cool. Lens replacement for POC Lid goggles. Lens replacement for POC Fovea goggles. 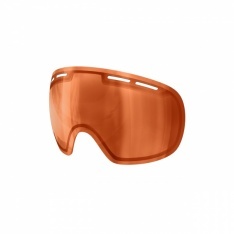 Single lens replacement for Retina Big Comp goggles.